is dedicated to “classic” audio tours, in museums or exhibitions. 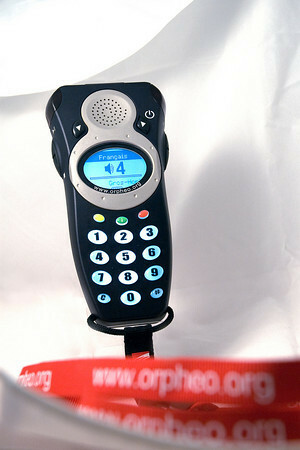 The Orpheo audio guide is a compact and highly durable device, specifically designed for public usage. Orpheo audio guides offer all the classic functionalities of an audio player. The visitor can adjust the volume, pause the messages and resume playing at will.